AFRMC would like to report that our Annual Women’s Luncheon, which was this past Tuesday (April 8th, 2014), was a success. The purpose of the event was to allow friends and donors to come together in order to benefit the BRCA Multidisciplinary Clinic in Israel’s Rabin Medical Center. The BRCA Multidisciplinary Clinic serves women at high risk of breast and ovarian cancer, as well as research to find cures for breast and ovarian cancers at Rabin Medical Center – home to the Davidoff Cancer Center – a world class facility whose sole focus is on the treatment and prevention of cancer. Author, Letty Cottin Pogrebin, gave an impassioned speech about her own cancer diagnosis and her struggles along the way. Pogrebin reflected, “Very simply, I’m someone who has-‘whoops’, who had-cancer. 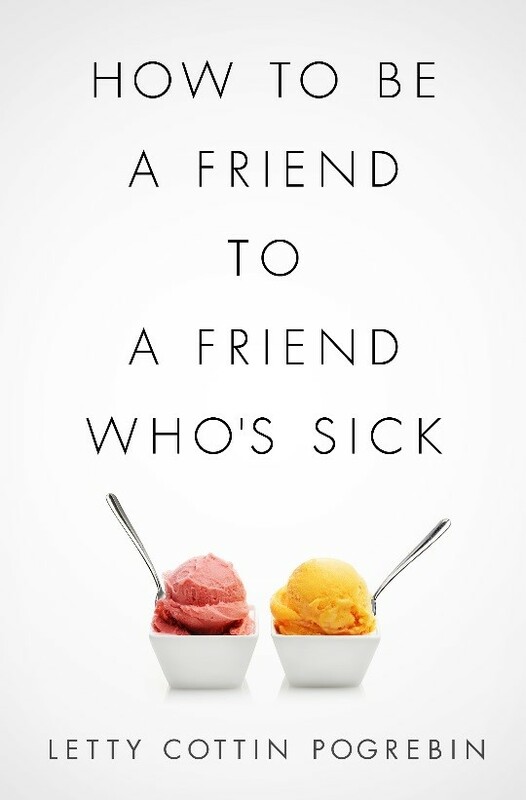 I’m also a woman with lots of friends and a writer who became fascinated by the disconnect between how people treat sick people and how sick people wish to be treated.” Pogrebin’s talk about her illness as discussed in her book, How to be a Friend to a Friend Who’s Sick emphasized that “empathy translated into action equals kindness.” Many of the guests learned from Pogrebin that communication and sensitivity are key when dealing with a friend or loved one who has fallen ill. This message perfectly translates to the work American Friends of Rabin Medical Center does to help those in need of medical care in Israel. American Friends of Rabin Medical Center (AFRMC) is working with Rabin Medical Center and its American partners, including Memorial Sloan Kettering and Dana Farber, to eradicate this devastating disease, and AFRMC supporters are vital to these efforts. Breast cancer is the most common cancer afflicting one in seven Jewish women in the United States and Israel. Genetic mutations in the BRCA genes cause breast cancer and are known to be more prevalent among Ashkenazi women. Each year doctors and research fellows at Rabin Medical Center are conducting vital research to find cures for breast cancer to benefit patients all over the world. Dr. Plaut, spoke to the need for better equipment and especially early detection among BRCA gene carriers. Early detection helped saved Dr. Plaut’s own mother’s life. He added, “We are currently focused on supporting Israeli women and women worldwide to find a cure and decrease the higher levels of breast cancer.” Plaut further asked the luncheon guests to support the upcoming annual Cheryl Diamond NYC 5k Schlep: Breast and Ovarian Cancer 5k Run/Walk to take place on June 22, 2014 to take place in Battery Park, NYC. Participants can sign up at http://afrmc.kintera.org/Schlep2014. ABOUT: AMERICAN FRIENDS OF RABIN MEDICAL CENTER is a 501c3 non-profit national charity based in New York City. Donations to this event are tax deductible in accordance with the law. Thank you for supporting detection and research to fight breast cancer. Breast cancer is the most common cancer afflicting Jewish woman in both the United States and Israel. Throughout their lifetimes, one in seven Jewish women will be diagnosed with breast cancer. With each passing year, we continue to improve primary care, diagnosis, enhanced treatment facilities, advances in radiation equipment, and above all, early detection. Your donation will fund vital equipment, medical and research fellows at Israel’s Davidoff Comprehensive Cancer center to treat and cure breast cancer. American Friends of Rabin Medical Center is committed to helping Israel’s Rabin Medical Center of Petah Tikvah fulfill its mission; sustain and expand its facilities with the most advanced technology and equipment by encouraging individual, family, corporate and institutional commitment to the hospital; publicly promoting the hospital; educating the public; encouraging visitation; creating joint ventures with other medical establishments; and by raising funds through a variety of programmatic efforts throughout the United States.